Cameras Inside Trucks Could Be Vital for Preventing Trucking Accidents | Robert W. Elton, P.L. Although car accidents are relatively common not just in Florida, but around the United States, some of the most devastating wrecks on the road today have to do with 18-wheelers. This is because the weight and size of these trucks particularly if they are moving at an excessive rate of speed can lead to catastrophic injuries and accidents. Over the past several decades, legislators in the federal government have been looking into the best ways to prevent trucking accidents. A broad range of regulations govern the trucking industry, mandating everything from how long truckers are allowed to drive to how much sleep they need to get every single night. If you have already been hurt in a Daytona Beach trucking accident, you need legal advice. Have Regulations Gone Far Enough to Prevent Trucking Accidents? Although these regulations have certainly made great strides forward with regard to preventing trucking accidents, the cost of trucking accidents is still astronomical every single year. Some individuals who are hurt in trucking accidents may never be able to fully recover from their injuries, representing a devastating loss not just to that family, but to the overall productivity in the United States. That’s why the United States is now considering using video technology. The same kind of video technology behind changing the way that police officers work in the United States could also help in the heavy duty trucking industry. Many different trucking carriers across the United States are using dual-lense cameras that capture the video of the road ahead of the truck as well as the driver at the wheel. Not all truck drivers, however, are receptive towards this change. Trucking executives, however, believe it’s a significant step forward in order to prevent trucking accidents. It exonerates drivers who could otherwise be blamed for accidents, provide valuable details in the event that a lawsuit emerges and even improves safety. Approximately, 400,000 trucks in the United States already have these cameras inside. 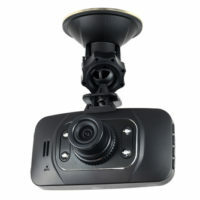 One company that makes these cameras for the trucking industry says that they experienced 80% growth in the last year. The cameras work like event recorders. They are linked to gyroscopes, GPS equipment and accelerometers. When the truck is running the camera is running. The video is only captured, however, when certain activities like rapid acceleration, hard braking or swerving from one side to the other occur in the truck. Usually the systems will take a couple of seconds of video after that triggering event and record a few seconds after it completes. This could be critical for showing more information in trucking accidents and may even be valuable for helping to protect victims who suffer catastrophic injuries. The cameras, however, have captured some of the most unfortunate behavior for truck drivers, including running through red lights, steering with their forearms, falling asleep at the wheel and holding cellphones and talking with them. The video has proved to be a very powerful training tool for the trucking industry, but it also illustrates how just dangerous this industry can still be. In 2014, more than 3700 large 18-wheelers were involved in deadly crashes. Those accidents killed 3900 people and the majority of the fatal accident victims were not truckers themselves. If you have already been injured in a trucking accident, you need to consult with an experienced Florida firm about your legal rights.